Dig deeper into the gospel of Mark, and be amazed by what Jesus Christ, the Servant King, has done for you. He has also set an example for us to love God's people in practical, compassionate ways that reflect the very nature of God. Learn from Jesus' life on earth, and be led to a personal encounter with Him, so that you may become more and more like the Servant King. Robert M. Solomon served a Bishop of The Methodist Church in Singapore from 2000-2012. He has an active itinerant preaching and teaching ministry in Singapore and abroad. He is the author of more than 30 books, including The Race, The Conscience, The Sermon of Jesus, Faithful to the End, and God in Pursuit. Dig deeper into the gospel of Mark, and be amazed by what Jesus Christ, the Servant King, has done for you. He has also set an example for us to love God's people in practical, compassionate ways that reflect the very nature of God. Learn from Jesus' life on earth, and be led to a personal encounter with Him, so that you may become more and more like the Servant King. 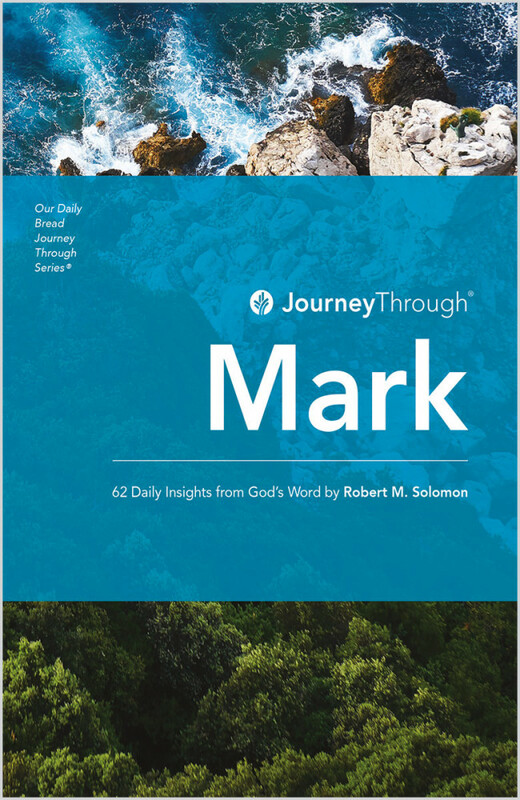 This devotional series from Our Daily Bread Ministries provides assistance to those who desire to spend time with God in His Word, book by book. The daily insights will help Christians discover the precious, life transforming wisdom of the Bible, inspiring them towards a closer walk with God. Perfect for personal devotions. Robert M. Solomon served a Bishop of The Methodist Church in Singapore from 2000-2012. He has an active itinerant preaching and teaching ministry in Singapore and abroad. He is the author of more than 30 books, including The Race, The Conscience, The Sermon of Jesus, Faithful to the End, and God in Pursuit.